Linux has become well known for being used in devices such as mobile phones or tablets running the Android operating system, web servers and everything up to super computers. CompTIA Linux+ is a certification that has grown in stature and demand, with ever more organisations trusting Linux when developing services and applications. During the CompTIA Linux+ course, students will learn the foundational skills that are required to work with the Linux operating system, including it’s configuration, management and troubleshooting. The CompTIA Linux+ qualification comprises of two exams and it is necessary to complete the training and pass the related exams in order to gain your internationally recognised CompTIA Linux+ certification. 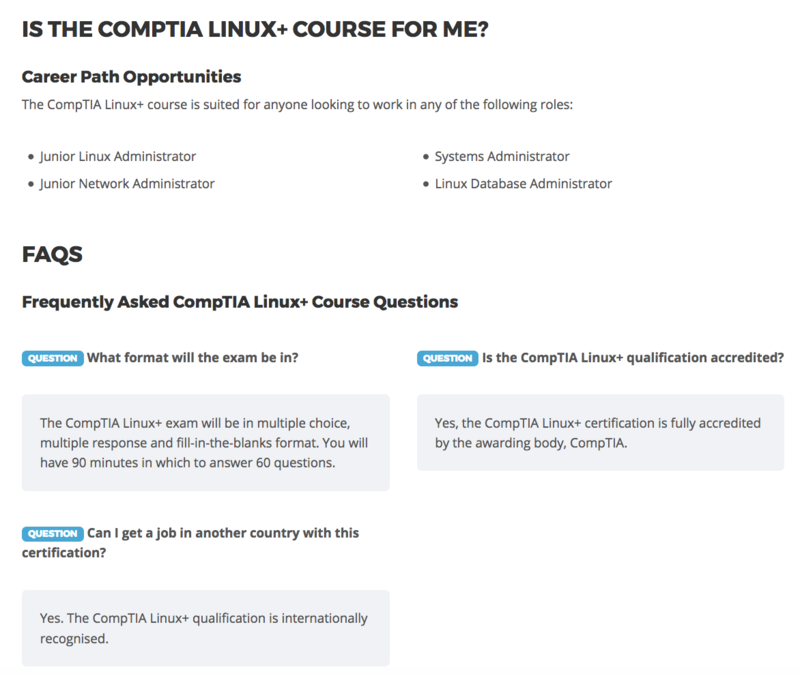 There are no educational prerequisites to studying the CompTIA Linux+ course, however, it is recommended that you have completed CompTIA A+, CompTIA Network+ and have 12 months of Linux admin experience.